Fresh from being part of the spectacularly successful Monty Python reunion shows in London, globetrotting Michael Palin is off on his travels again. He’s already gone Around the World in 80 Days, gone from Pole to Pole, and has travelled Full Circle; each time producing highly successful books and television series. So, where this time? Well actually, he’s heading out around the UK to celebrate his new book and to talk about his career so far. Michael is now 71, and his new book is the third volume of his diaries, entitled Travelling to Work: Diaries 1988-1998. “It covers the 10 years beginning with my misgivings about having embarked on Around the World in 80 Days,” he said. “I discovered some notes I’d written which seemed to suggest I was deeply worried about what I’d taken on. I was going to be away for longer than I’d ever been away before – and there was no script. So the first half of the show is talking about the new book. “Well, yes, basically. Over the years, I’ve done a lot of one-man shows, usually one evening here and there, and I’ve really quite enjoyed them. The second half of the show has Michael reminiscing about his 50 years in showbusiness. stage night after night to perform comedy, some of which I’d written, and it was such a great thrill to do that. Therefore, Michael will be taking us on a trip through his life from a Sheffield schoolboy, to selling out the O2 in London in 43 seconds. And his story seems set to continue as he has no plans to retire. “Retire from what?” he asked. 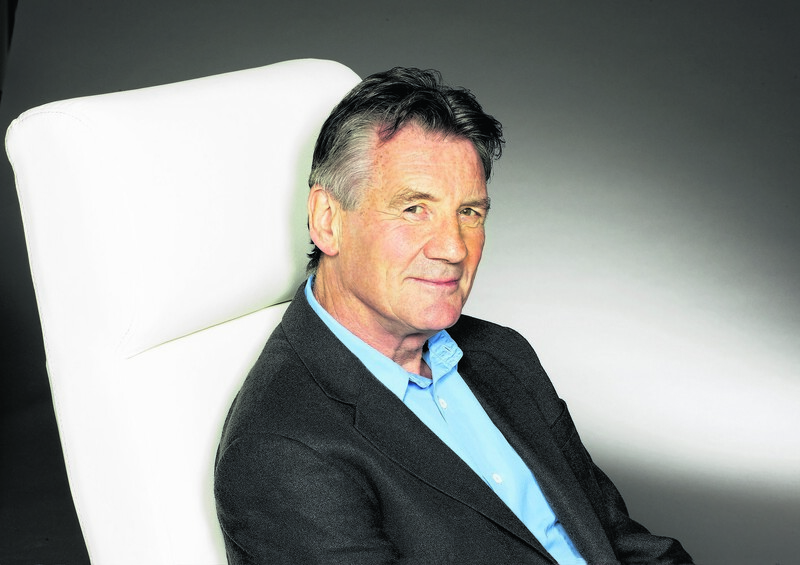 Michael Palin will be at the Music Hall, Aberdeen, on Saturday, September 13. Tickets are available from www.aberdeenperformingarts.com or by calling 01224 641122. His book Travelling To Work: Diaries 1988-98 is published by Orion Books today, September 11.